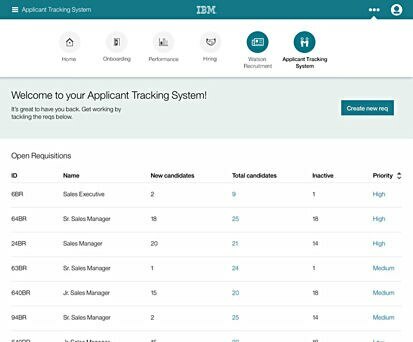 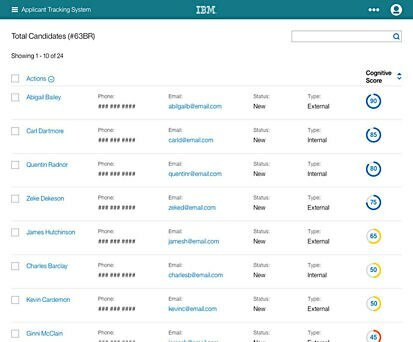 IBM® Watson™ Recruitment is an AI-powered talent management solution that works seamlessly with your ATS to increase recruiter efficiency and improve and accelerate HR’s impact on the business. 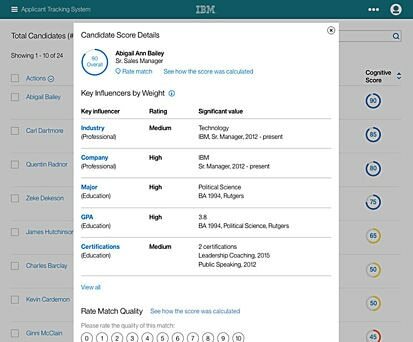 It surfaces the most qualified candidates for the job — without human bias — and identifies adverse impact. 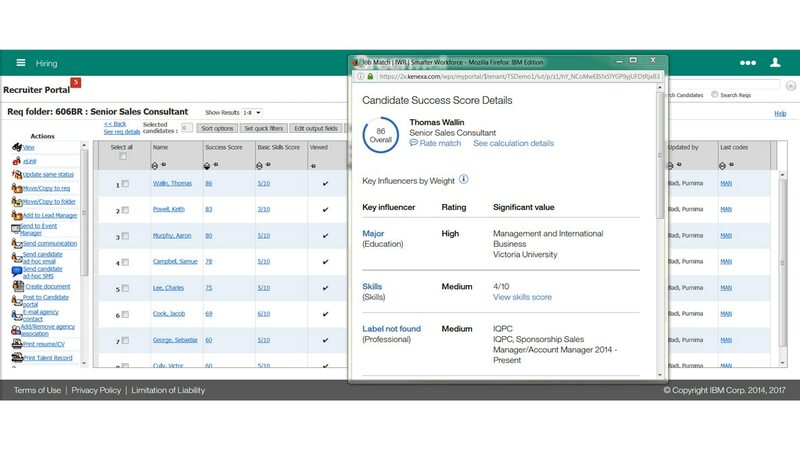 Identify the most qualified candidates with the maximum predicted level of success. 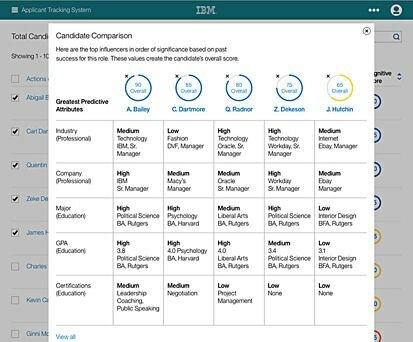 Watson focuses recruiting efforts, increasing efficiency. 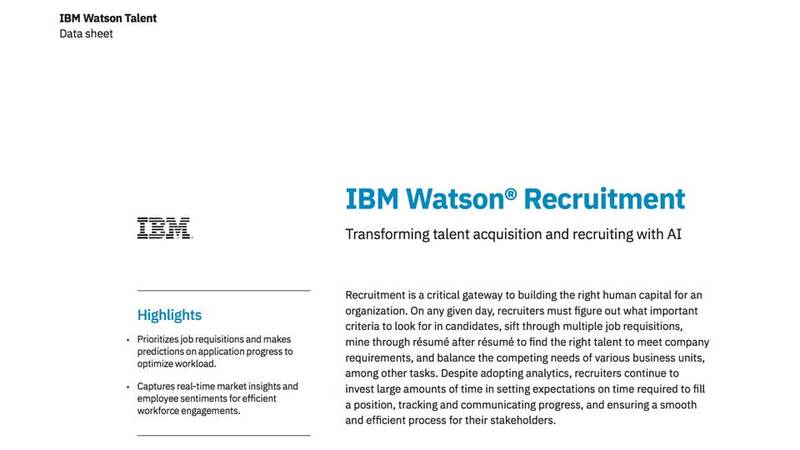 Analyze your hiring practices for adverse impact and evaluate bias to ensure an inclusive and diverse culture. 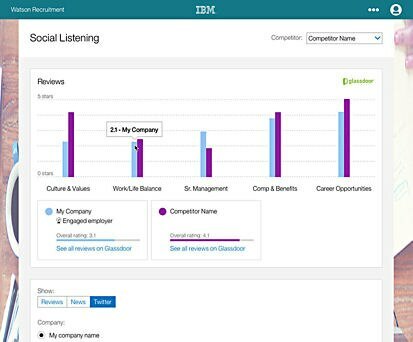 Drive better conversations with candidates through AI-powered social listening that monitors employee sentiment.